What do you do when the job you went to school for turns out not to be for you? For some, the thought of going back to school to study something new isn’t appealing… or it simply isn’t an option because they still have student loan debt or can’t afford to study full-time. The good news is that there are other jobs out there that don’t require a college degree. Yes, you may need some training… but it won’t take four years like a traditional college program. 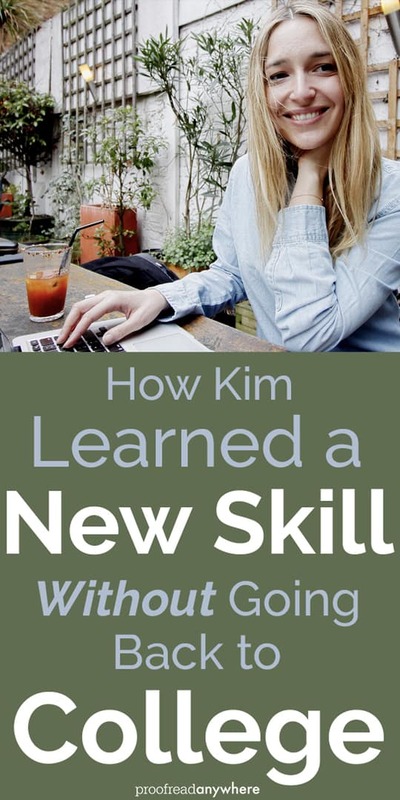 Retraining as a transcript proofreader took Kim eight months, and she earned back the course fee in just one month of working! Check out how she made it happen below. Q: Welcome to the blog, Kim! Tell us a little about your background. What did your life look like before you crossed paths with PA? I have been working as a medical transcriptionist and editor for 13 years as well as being a very busy single mom. Initially, I got an associate’s degree from the University of Alaska in medical assisting with the intention of continuing in a nursing program, but after two years in the field, I discovered it was not for me. 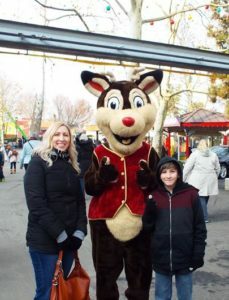 I had taken a class in transcription while I was in school and used that skill to get my first job working at home, which was great for me because I was able to work and be home with my three kids. Q: So many people end up choosing a different path than their degree, and that’s okay! When did you start proofreading, and what made you decide to learn how to proofread? I first came across PA three years before I signed up when I was searching for ways to make extra income. The thought of working outside the home again or going back to a traditional classroom did not appeal to me. As it was, I was still paying off student loans from fifteen years ago! When I revisited PA three years later, I knew it was now or never. It took me eight months to complete, and I started proofreading this past April. Q: Those student loans will get ya every time! 🙂 What was the most challenging part of getting started? The most challenging part for me was when I graduated from the course, and I realized I had to actually put myself out there and do this for real! The marketing part was very intimidating for me since I am very shy, and I still had fears that I may never get a client or that I would get a client and not be good enough to keep them. Q: Marketing scares lots of people. That’s why I include a marketing module in all my courses! What was the most valuable thing you learned during the course? It is hard to pinpoint one thing in the course because it is filled with so much information! The PTs were invaluable to learning the skill, but for me, the marketing was really important too because without learning that aspect of it, I might not have gotten any clients. It took me three weeks to get my first client. Three months later, I now have eight clients and all while still working my full-time job. This has grown much faster than I had even imagined it could! Here’s what some of Kim’s happy clients have to say! Q: There’s no stopping you now, Kim! How long did it take you to recoup the cost of the course? I actually made my money back on the course in only a month and over the course of three months, I have made $2,600. This course is definitely worth the money, but you cannot be lazy or rush through it just to get clients. If you don’t take the time to learn and understand the concepts taught, it will show, and you will have a hard time keeping clients. Q: What does your life look like now after retraining as a transcript proofreader? I am really enjoying my proofreading job, and it is helping me get some bills paid off. The flexibility is the best part, something I never had in my other job. I have actually cut back my hours on my full-time job so I can devote more time to proofreading. Too many people stay in a job they hate just because they spent so much time and money on school. It makes me SO happy that Kim chose to do something that suits her better, first with transcription and then transcript proofreading. Now she gets to do work she enjoys and pay off some bills. Good for you, Kim! Decided that your current career isn’t for you but don’t want to go back to school? Check out my free 7-day intro course to see if retraining as a transcript proofreader is right for you!